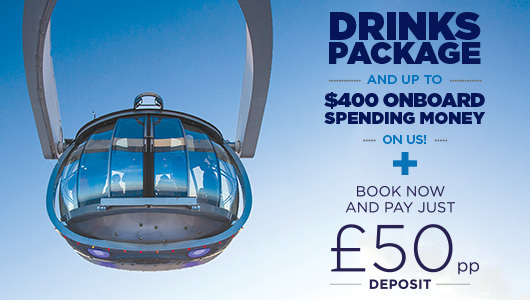 Royal Caribbean UK is offering complimentary unlimited beer and wine packages for select 2015 cruises to residents of the United Kingdom and Ireland. In addition, guests will receive up to $400 to spend onboard in onboard credit. There's also just a £50pp deposit required. This deal is good for all sailings except China itineraries as well as Anthem and Quantum of the Seas Caribbean itineraries). 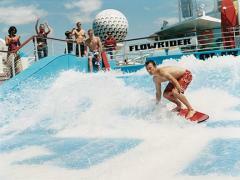 Cruises must sail between February 1, 2015 and December 31, 2015. The Drinks & Onboard Spending Money promotion is not combinable with Crown & Anchor Discounts / Travel Agent Rates / Interline Rates / Net Tour Op Rates / Gross Tour Op Rates / Friends & Family / Interline (unless otherwise stated) or any form of Non Revenue price programs such as, but not limited to Seminars at Sea, Perishable Inventory & Complimentary prize winner staterooms. The Drinks & Onboard Spending Money promotion is combinable with the benefits offered by booking onboard via our Future Cruise Consultants (Reserved or Open Bookings) and Future Cruise Certificates only. The Drinks & Onboard Spending Money promotion is combinable with Tesco Clubcard bookings. Speaking to TTG, Royal Caribbean vice president Dominic Paul, indicated his office wants to keep a Quantum-class cruise ship based out of the UK for the foreseeable future. 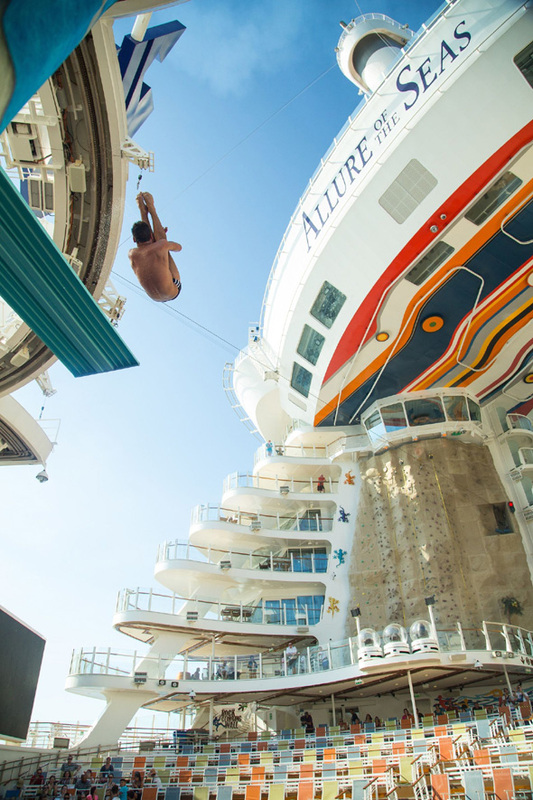 The addition of Anthem of the Seas to the UK market was a big move for Royal Caribbean. “For us to place a brand new $1 billion ship in the UK is massive. By bringing it to the UK, we’re saying that we recognise this is a strategic market for us. The goal is to have a Quantum-class ship staying in the UK – we’re not just doing this for one season. We want Anthem to be seen as an iconic UK ship, assuming that it is successful.,” he told TTG. “I would think it would have a long successful future here [in Southampton],” he added. Royal Caribbean kicked off a new sale for residents of the United Kingdom and Ireland that offers an "all inclusive" promotion. Transatlantic & Repositional sailings are excluded from this offer. Royal Caribbean UK is looking for a guest blogger to report about their experiences while cruising on Allure of the Seas in the Mediterannean in 2015 for an entire month. Royal Caribbean has started a contest to find this one blogger called "Away With Words", where the winner will be brought onboard Allure of the Seas for one month in summer 2015. The person will report back on the destinations they haveexplored, and everything the ship has to offer. 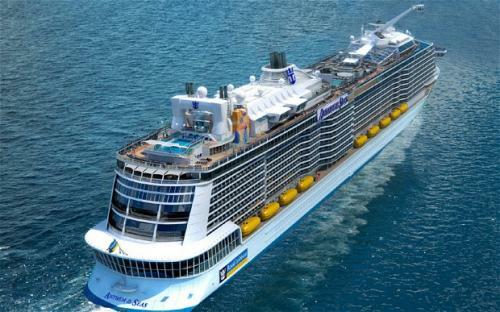 Royal Caribbean will provide onboard accommodations, meals, a complimentary drinks package and laundry. To enter, you must answer the question, "Tell us about your most WOW travel experience..." in either 500 word written entry or a 60 second video on YouTube or Vimeo. Those interested must enter by June 30, 2014 and be 21 years old and a resident of the United Kingdom or Ireland. More details on the contest and how to enter can be found here. British TV star Tom Daley, who is well known in the UK for his television show on ITV called, "Splash", helped begin Royal Caribbean's new marketing campaign to highlight Caribbean cruises aboard Allure of the Seas. 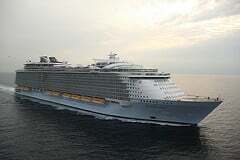 The campaign is called "Caribbean Cup" and stars Daley along with Australian swimmer Ian Thorpe and American gymnast Gabby Douglas in a variety of athletic challenges including surfing, rock climbing and dodgeball on board Allure of the Seas. Royal Caribbean UK recruited the athletes to show off the fun things you can on a Royal Caribbean ship while enjoying a Caribbean cruise. Royal Caribbean has appointed Ben Bouldin as its new director of sales for the UK and Ireland. Travel Weekly reports that Bouldin will be in charge of the 18-person sales team. The hiring of Bouldin fills a newly created position to help with sales of Royal Caribbean cruises in the region. He will now work alongside Jo Briody, who has been appointed director of marketing and public relations for the cruise line. Before being hired by Royal Caribbean, Bouldin had spent 15 years at PepsiCo International. Bouldin's boss, Stuart Leven, managing director for UK and Ireland, commented on the hiring to Travel Weekly, "With a new brand structure in place and the recent announcements confirming Anthem of the Seas deployment to the UK in 2015, Ben joins the Royal Caribbean business at an exciting time. "I look forward to working alongside him and am confident that with his exceptional experience working with high profile international brands he'll be able to build on the team's industry leading track record within the cruise sector." Royal Caribbean has named Stuart Leven the new United Kingdom and Ireland managing director. Prior to being hired by Royal Caribbean, Leven worked in the travel industry including InterContinental Hotel Group, Thistle and Guoman Hotels, Choice Hotels Europe and KLM. He has been working in a management consultancy for the past five years. Leven will work in the newly created role that came about earlier this summer when Royal Caribbean decided to split up its Royal Caribbean, Celebrity Cruises and Azamara Club Cruises operations into seperate entities. In addition to Leven's hiring, Dominic Paul will take on an expanded role as vice president and will report directly to Royal Caribbean CEO Adam Goldstein. Paul had been in charge of Europe, the Middle East and Africa. He will now also be in charge of Latin America, Asia Pacific and the Caribbean. Royal Caribbean has selected Agency RPM to handle its family-focused experiential activity, which launches this week in the United Kingdom and Ireland. The two-month long campaign aims to encourage new-to-cruise families to consider Royal Caribbean as their vacation option. The heart of the effort will use an interactive experience that brings to life the family-friendly facilities and activities available through a Royal Caribbean holiday, both on-board and on-shore. Using green screen technology, families will be able to create their ideal holiday photo album choosing from a number of activities that they would like to do together and immerse themselves directly into the action. The new campaign will tour theme parks and shopping centres such as Bluewater in Kent, Manchester’s Arndale and Glasgow’s Silverburn. Jo Briody, head of marketing UK & Ireland at Royal Caribbean International, said: "Cruises are often associated with an older demographic but this thinking is outdated. Our holidays are incredibly family-friendly and RPM’s idea of using green screen technology to literally ‘put people in the picture’ gives families a chance to experience how a cruise would feel, whilst additionally providing an opportunity to interact with our brand." Royal Caribbean has decided to split up its three cruise line operations in the United Kingdom and create individual businesses for Royal Caribbean, Celebrity Cruises and Azamara Club Cruises. The decision comes after concluding the three companies have grown to a size that warrants “increased focus and investment”. Effective January 1, 2014, current associate vice president & general manager Jo Rzmowska will become the managing director for Celebrity Cruises. Top positions for managing directors of Royal Caribbean and Azamara is underway both internally and externally. Each individual managing director will also get his or her own commercial, marketing and sales teams, as well as separate agent trainers and trade marketing budgets. “The only other market that we have this kind of focus is North America. This is the first time we have given any other market such attention. We have seen that when a market gets to a certain size of importance, this is the structure that works best to grow. 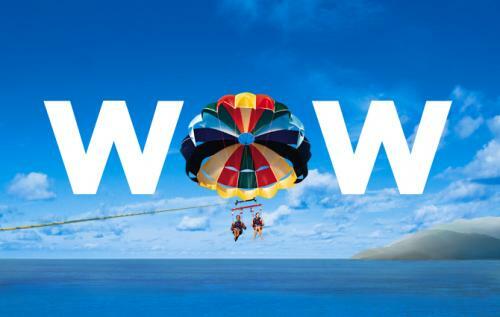 Royal Caribbean is launching another sale for residents of the United Kingdom starting today. In addition to it's free drinks and free balcony upgrade promotions, starting today an 11-day WOW sale is going on for residents of UK & the Republic of Ireland. If you book by a cruise between September 1 and December 31, 2013, you will receive $100 (£65) in onboard credit for your cruise. To qualify for the sale, the cruise must be booked by August 19, 2013. Unlike WOW Sales in the United States, there does not appear to be a difference in the amount of onboard credit depending on cruise length. Onboard spend is only valid for bookings made in balcony & suite categories, including X & W guarantees. Transatlantic sailings are included in the sale.